Since the Internal Revenue Service did away with its Offshore Voluntary Disclosure Program in September 2018, the number of tax amnesty options for U.S. citizens living abroad has shrunk to exactly one: the streamlined foreign offshore procedure. Under certain circumstances, Americans living in another country can file their returns through a complex process, effectively erasing tax penalties and settling their bill with the IRS. If you think you may owe the IRS, explore your options for tax amnesty with Ted Kleinman, CPA. Contact him today at (541) 923-0903 to schedule a consultation. 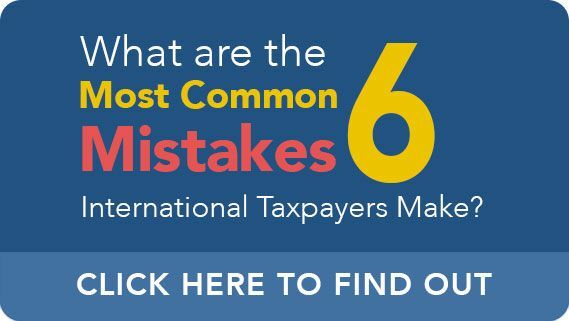 Failing to properly file taxes with the IRS can be a major problem for any American, but especially for those living overseas. The penalties for not disclosing offshore assets can be steep; failure to file a Report of Foreign Bank and Financial Accounts (FBAR) can be as high as $100,000 per violation if discovered by the IRS. The fines for a missing Foreign Account Tax Compliance Act (FATCA) form can be just as expensive, so making sure you are up to date on all your forms and filings can save a lot of money in the long run. Luckily for those who have forgotten – or who did not know the proper procedures until now – relief exists in the form of the streamlined filing compliance procedures. The requirements for taking advantage of the streamlined procedures are very specific, so it is important to know whether you qualify before you decide to pursue this option. Any taxpayer looking to use the streamlined procedures must certify to the IRS that their failure to properly report income, pay taxes or submit information returns happened because of negligence, a mistake, or a simple misunderstanding of U.S. law. If at any point you have willfully or purposefully avoided paying U.S. taxes, you are ineligible for amnesty. Additionally, it is important to note that the streamlined procedures are essentially a one-time offer for taxpayers looking to avoid penalties. This method is intended to clear up the mistakes of a U.S. citizen who may have made an error when filing taxes but who wants to rectify the issue; the IRS then assumes that they understand the process and will file properly in the future. Do not plan to use the streamlined procedures more than once. Submit tax returns for the last three years, making sure to include the proper information forms (most commonly, Forms 3520, 5471 and 8938) with the returns. Be sure you are using the correct forms for the returns, as there are separate forms for tax returns that were previously filed and those that are delinquent. Write “Streamlined Foreign Offshore” in red ink at the top of the first page on each form you are submitting. Failure to complete this step will cause your returns to be processed according to standard IRS guidelines, which could include all penalties for which you are eligible. Complete and sign a statement on Form 14653 – Certification by U.S. Person Residing Outside of the U.S. – certifying that you are eligible for consideration under the streamlined procedures, and that any error in filing was not willful. Copies of the statement must be attached to each return being submitted, excluding any FBAR forms turned in at the same time. Write a check for the amount of taxes due, including any late amounts and applicable interest. Make sure your taxpayer identification number is included on the check. If you do not have a taxpayer identification number or Social Security Number, submit a form applying for a taxpayer ID number along with all other paperwork. If you failed to elect to defer certain income from certain retirement or savings accounts, submit a statement requesting an extension for said deferral and a second, signed statement explaining – under penalty of perjury – why the election was not completed by the deadline. Send all applicable paperwork to the IRS office in Austin, Texas; make sure to include “Attn: Streamlined Foreign Offshore” in the address. If you have any delinquent FBAR forms, file copies of FinCEN Form 114 for each of the last six years through the Financial Crime Enforcement Network’s website. Include a statement explaining that the forms are being filed under the streamlined procedures to qualify for possible relief from penalties. Mistakes at any step of this process can cause the IRS to process your delinquent returns like any other, jeopardizing your eligibility for tax amnesty under U.S. law. Attempting to apply for tax amnesty as a U.S. citizen can be a tricky process. Taxpayers must complete a slew of forms, both for the IRS and FinCEN, to ensure they receive the relief they are seeking. Ten Kleinman, CPA, has three decades of experience helping expatriates and U.S. citizens living abroad to come into compliance with American tax codes. For help with your tax situation, contact U.S. Tax Help at (541) 923-0903 and schedule a consultation today.